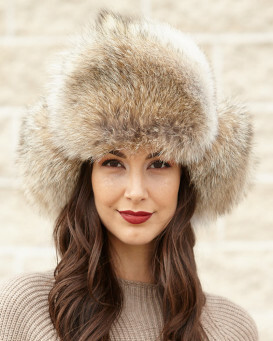 This gorgeous Natural White Fox Full Fur Russian hat features all fur exterior. 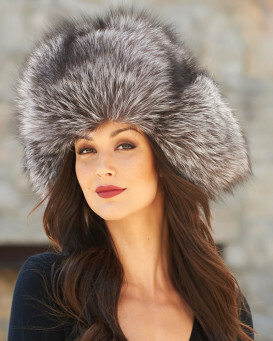 Our Russian style hat is made with Natural White Fox Fur including fur ear flaps with leather ties. 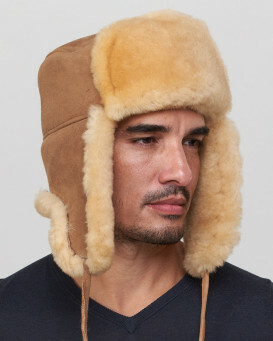 The ear flaps can be worn down for extra warmth and style or neatly folded up and tied at the top. The interior is quilt-lined for extra comfort. 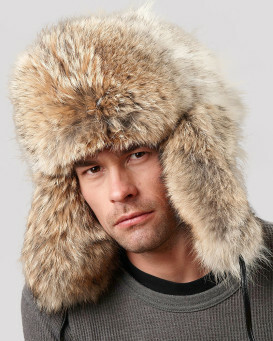 Fox Fur is one of the thickest furs available, making it ideal for winter hats. 4.0 / 5 from 3 customer reviews. "Beautiful hat, much admired! Shopping with you is a real pleasure, and I will certainly recommend you to friends. Speedy delivery was amazing! I'm now trying to convince my husband I really need another hat in a different colour, so far without success, but I'll keep trying! Hope to order from you again soon - many thanks." "wonderful item - right size - very warm, comfortable product - great looks and high quality fox full fur - thanks a lot - best regards"
"The service was as expected,prompt and effecient. The product of excelent quality,we keep getting comments from people on the street saying GREAT HATS! During our vacation we were at the QuÃ©bec winter carnaval and some photographers took pictures of us with our hats. 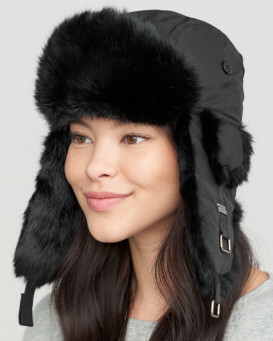 Love your hat and we tell them check out FUR HAT WORLD. We will shop again at Fur Hat World and we recommend them to friends and familly. Ioane from Tahiti."